Glass pool fencing sanctuary cove. 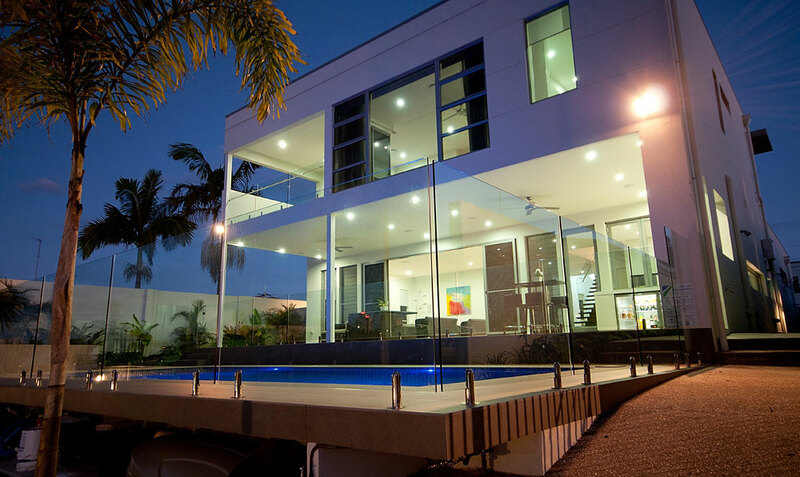 Absout Custom Glass continual striving to exceed all customer expectations is just one of the contributing factors to why they are frequently called upon and why they have firmly cemented themselves as the preferred installer and supplier of Glass pool fencing sanctuary cove. All completed projects are covered by a 10 year workmanship warranty and a 100% customer satisfaction is also guaranteed. Glass Pool Fencing Sanctuary Cove, Hope Island and Sovereign Island, have without doubt some of the finest properties on the Gold Coast and Absolut Custom Glass can proudly say that they have complimented countless of these properties with their custom glass systems and elegant designs. By using a quality product on your glass pool fencing and balustrade project, you not only get a beautiful, secure and safe end product, but this also adds increasing value to your home. Using only premium glass fittings and high quality glass that reaches or exceeds Australian standards has always been a strict company policy of Absolut Custom Glass, they believe that if you do a job, you do it right, and it’s this attitude and the pride that they take in each and every project that sees them frequently chosen to provide Glass Pool Fencing in Sanctuary Cove. Absolut Custom Glass understand the importance of attention to detail and the quest to perfection and the owners of the prestigious and luxury homes of Sanctuary Cove demand nothing short of this. Glass Pool Fencing Sanctuary Cove. Absolut Custom Glass are experts in frameless glass, semi-frameless glass, bent & curved glass, glass balustrades, glass splashbacks and glass shower screens, with over 15 years in the Gold Coast glass industry, and over 3000 commercial and residential projects completed to date, you can be assured that you can rely on Absolut Custom Glass for a professional and quality service. Please contact us today for your glass pool fencing sanctuary cove project.